A major league gift for any baseball fan, this chime is precision-tuned to the 7 opening notes of "Take Me Out to the Ball Game." 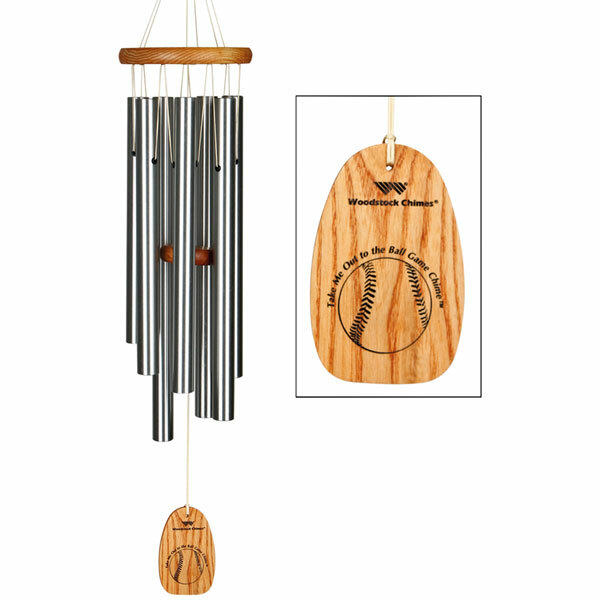 Garry Kvistad, founder of Woodstock Chimes, was inspired to create it when the Chicago Cubs won the World Series in 2016, something he'd waited all his life to see. Ash wood with a cherry finish, engraved wind catcher, and silvery aluminum tubes. Hangs 27". From Woodstock Chimes.